It had been a long day of work and the man was tired. He set the pen beside the sketch and eased his body up from the desk, trying to ignore the painful protest of his muscles. The design, a new wallpaper pattern, had developed as far as he could bring it for now. 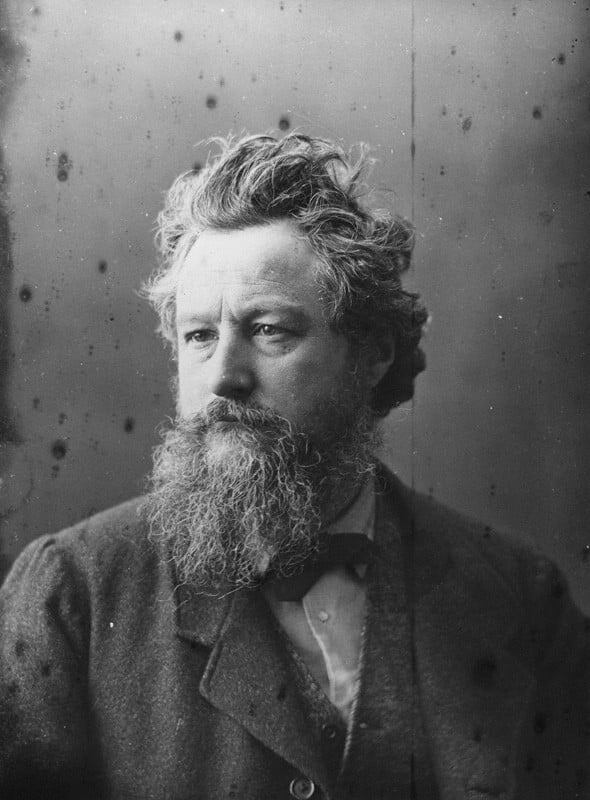 As soon as William Morris was able to quiet the part of his mind fixed on the sketch, other thoughts crowded in. The impeccable workmanship of the medieval book he'd handled the week before, a sequel to his last socialist tract and his firm's current interior design project all pressed for his attention. Yet one idea drove all other thoughts away. Morris rushed back to his desk for the pen and settled into the chair in the center of the workshop. He opened his notebook, exhaled and started to write. Here on the clean pages he could leave behind the confines of smoky London and return to pre-industrial England. As Morris began the poems which would become The Earthly Paradise, this Leonardo da Vinci of the 19th century had no idea that his handmade wares and assorted writings would almost 60 years later deeply move Yanagi Soetsu. Yanagi turned that inspiration into the mingei (Japanese folk art) movement, the biggest single factor in keeping Japanese craftsmanship alive in the modern world. Much of the philosophy that undergirded Morris's multi-disciplinary artistic efforts is revealed in the poems which flowed through his pen. Today we reflect on several of them. Of all the days that have passed o'er thine head? That this day too thine heart doth still desire? Sometimes we overlook the value of mundane or disagreeable experiences. Although they are tedious or worse at the time, they need not ultimately be wasted. Such moments both reveal more of life and add welcome contrast to times of merriment. What happiness to look upon the sun!" The present moment may be brief, but it is the only time when we can delight in a creative task. As we do so, we can also join with nature in expressing gratitude for sheer existence. Concentration on deepening that song is both freeing and satisfying. It's easy to be preoccupied with large goals, whether our own or those others expect from us. Such dreams are often helpful, but the work required to achieve them can feel overwhelming. In those moments it's helpful to both remember our own impermanence and be content with even humble efforts. As we begin a new year, we hope these thoughts inspire you in your own pursuits.